The gates of Animal Crossing: New Leaf will open when the game launches for the Nintendo 3DS system on June 9, inviting residents to move in and, in a series first, become mayors of their own personalized towns. 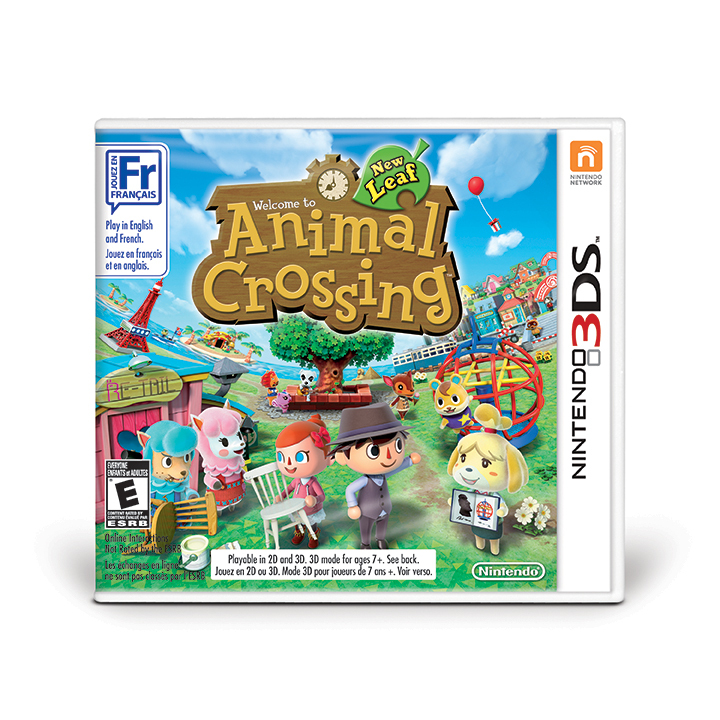 Animal Crossing: New Leaf is based on the real-world calendar – no two days in the game are the same – and includes features new to the series like customizing specific pieces of furniture, visiting a tropical island, swimming in the ocean and even sharing personalized homes with friends. Once players get accustomed to their new life in the town, Tortimer, the town’s former mayor, will visit and invite them to the tropical island where he now lives. The tropical island is a new feature in Animal Crossing: New Leaf that lets players search for unique items and take mini-vacations with up to three other friends who also own the game. While visiting the island, they can participate in a tour featuring a fun mini-game. They can even rent a wetsuit and dive into the ocean to catch underwater creatures or just leisurely swim around and enjoy the sights. Animal Crossing: New Leaf expands on the remarkably deep customization that fans love. Like previous Animal Crossing games, players can customize almost everything in the game, including their homes’ interior design and clothes, as well as patterns for clothing, wallpaper and carpets. But in this game, players can also adjust the specific look of thousands of individual pieces of furniture, including new types of wall items like clocks, shelves and lamps, and decorate the exterior of their houses with new mailboxes, doors, façades and stepping stones. Players can even create custom fashion designs at the Able Sisters’ Tailor that can be turned into QR Code patterns to be shared with others. The amount of customizable options is nearly endless. Players can play locally with other Animal Crossing: New Leaf fans who also own the game, share Friend Codes to travel to other players’ towns, go on a tropical island tour via a wireless broadband Internet connection with friends or up to three other random players from all over the world, or tag fellow players using the StreetPass feature to add their personalized houses to the Happy Home Showcase. Animal Crossing: New Leaf is constantly evolving and changing. Certain items can only be found at a certain time of day, and certain events can only be experienced during special in-game holidays on the calendar. There’s something new to do every day in Animal Crossing: New Leaf. This entry was posted on Thursday, June 6th, 2013 at 12:44 pm and is filed under Everyone, National News, New Releases, Simulations. You can follow any responses to this entry through the RSS 2.0 feed. You can leave a response, or trackback from your own site.